Welcome back! In the previous entry, the evolution of money was explored to the extent that we could see how its essence changed at every step in the ladder of economic civilization. The essence of modern money is credit. This time, I cover the second half of Thomas Greco’s book where he shares an abundance of wisdom and guidance. After thinking about The End of Money and the Future of Civilization some more, it occurred to me that the money system is like Windows 95. In the same way Windows 95 didn’t know whether it was an archaic 16 bit operating system or a modern 32 bit operating system, our current money system doesn’t know whether it is using commodity money or credit money. 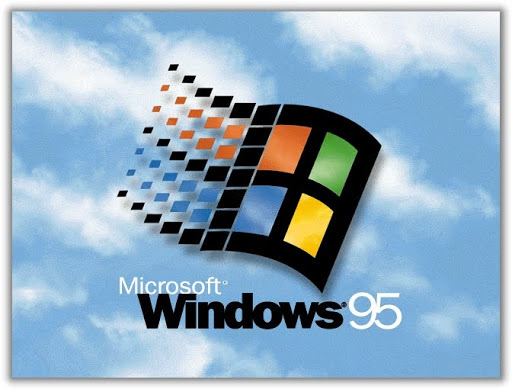 Windows 95 tried to reform Windows 3.11. This effort generated billions of dollars for Microsoft which produced two more commercially successful versions (98 and Me) but this effort was eventually abandoned. Today, it’s easy to forget what it was like losing all of your work. Cue Barbara Streisand singing Memory. Maybe central bankers aren’t deliberately trying to marginalize people. It may just be that with outdated jargon, they’ve painted themselves into a corner and they don’t have the tools to build a stable money system. Only we do. Because we make sense of new systems by drawing on familiar experiences to describe them, it is inevitable that we sometimes inherit inappropriate language when systems are upgraded. Greco shares the example of “driving” a car which is left over from driving a team of horses. (p. 102) In the last post, we learned from Greco that continuing to use language (loan, deposit) from legacy systems perpetuates conditions for system instability. What can we do to fix this bug? Money isn’t stuff. It’s a statistic. Like your credit limit? No. Your credit limit is not money. For a given system, the money supply is a measure of outstanding IOUs. It “is determined by adding up the sum of either the positive balances or the negative balances.” (131) It is perfectly fine for the money supply to be zero at a given instant. When money was stuff, a zero money supply would be problematic because if you need stuff to buy and sell and there’s no stuff, then you can’t buy and sell. Likewise, it is perfectly fine for an account holder’s balance to always be negative “so long as it is actively trading and the negative balance does not exceed some appropriate limit.” (134) On what basis is this limit determined? Greco suggests borrowing an idea from the banks. Just as banks use your income as a measure of your ability to repay a loan, it is reasonable to set maximum debit balances based on the amount of revenue flowing through an account – in other words, the maximum line of credit on any account should be decided on the basis of the amount of that member’s sales of goods and services averaged over some recent time period. Past experience in conventional money and banking has provided a rule of thumb that may be useful here. It says that a negative account balance should not exceed an amount equivalent to about three months’ average sales. Again, three months is just a rule of thumb1 which chooses an appropriate credit buffer for the account holder. Instead of 3 months, you might choose 100 days to make it easy to do certain calculations in your head. Greco refers to a metric called the reflux rate which is the rate at which currency is redeemed by an issuer as a percentage of the buffer. The reflux rate is proportional to the sales rate and another way to describe it is the percentage of the credit buffer (using, for instance, dollars) sold in a given time interval, for instance, in one day. It is not clear what the origin of this metric is. It is perhaps inspired by the law of reflux but certainly the term is meant to convey the idea that what matters is how quickly an account holder redeems his own currency or the system in general redeems her own currency. Of course, new members do not have a sales history in the system. This is addressed in section 5.3.3 of Appendix A: A Model Membership Agreement for a Credit Clearing Service. There’s an exception in 5.3.1 which seems to apply to members in general which allows the credit limit to be determined based on “the value of goods currently offered and available for sale within the Exchange.” Obviously, assessing the value of the goods would be an extra burden on the management. Let’s do a few simple credit limit calculations to get in the habit and perhaps gain some further insight on the nature of the reflux rate. Suppose we calculate the average sales rate using the last year of sales. If the account holder has sold $400,000 of cookies in the last year, then his sales rate is $400,000 per year. If we choose a 3 month buffer, then he is allowed a negative balance (buffer) of $100,000. Since we’re using a 3 month buffer, his reflux rate needs to be at least 33% per month ($33k/month) to maintain his current credit limit. Suppose we calculate the average sales rate using only the last 6 months. If the account holder has sold $10,000 of cookies in the last 6 months, then his sales rate is $20,000 per year. If we choose a 3 month buffer, then he is allowed a negative balance (buffer) of $5,000. Since we’re using a 3 month buffer, his reflux rate needs to be at least 33% per month ($1.6k/month) to maintain his current credit limit. Instead of choosing a 3 month buffer, let’s slightly change it to 100 days. Suppose we calculate the average sales rate using only the last 100 days. If the account holder has sold $100,000 of cookies in the last 100 days, then he is again allowed a negative balance of $100,000. Since we’re using a 100 day buffer, his reflux rate needs to be at least 1% per day ($1k/day) to maintain his current credit limit. One thing I notice is that these calculations are exactly like the calculations made in video streaming. Measured in time, both buffers are constant. In video streaming, the buffer might be 5 seconds. In credit streaming, the buffer might be 100 days. If the video stream is 50 kb/s, then a full buffer would contain 250 kb. If the reflux rate is $1000/day, then a full buffer would contain $100,000. The buffer is emptied by playback or spending. It needs to be replenished with more video data or sales. If there is sufficient network congestion, then the video server reduces the bandwidth of the stream from 50 kb/s to maybe 25 kb/s to a 125 kb buffer (still 5 seconds worth of buffer). If there is a sufficient reduction in sales, then the credit system may reduce the reflux rate to from $1k/day to $0.5k/day to a $50k buffer (still 100 days worth of buffer). If available bandwidth or sales increase, the buffer is increased. Greco stresses “not all credit is suited to serve the exchange function. A distinction must be made between short-term turnover credit and long-term investment credit” (146) Long-term credit enables the “renewal or expansion of the economy’s production capacity” (214) but to do so “an economy must produce a surplus over its current consumption needs…It is our collective savings that provide the financing for the creation of new productive capacity” (215) If you create credit for long term investment like real estate mortgages or business plans that take years before returning revenue, then it will be a long time before the borrower can redeem the currency he has spent – no “timely reflux and redemption by the issuer.” (148) This lowers the reflux of the system and devalues the currency. Instead, surplus turnover credits in accounts can be reallocated from turnover credit to investment credit. Greco cites many reasons why equity investment is generally more desirable than bond issues. (220) In particular, an equity investment relationship isn’t an antagonistic relationship like debt with interest is and a debt contract puts all the risk on the borrower. For commercial trade exchanges, Greco warns against the trade exchange’s own account “cherry picking” the best goods or services with inside information. More worrisome is the notorious “borrow and spend” clause that allows the trade exchange’s account to spend beyond its means. Greco says “the resulting ballooning of debt in the system account results in the debasement of the value of the internal trade credits and the loss of confidence in the trade exchange management.” (164) Also, for commercial exchanges, Greco says all levels of the supply chain should be included. If a trade exchange has a retail member, it should try to recruit the wholesale companies that supply that retail member, then try to recruit the manufacturing companies that supply those wholesalers, then try to recruit the basic commodity producers that supply those manufacturers, and so on – until the loop is eventually closed by recruiting the employees/customers who are supplied by the retailers. In this way, each participant will be able to pay their suppliers by means of credit clearing. Barter exchanges formerly were the target of the IRS that assumed they were trying to avoid paying taxes. This harassment ended when it was agreed that barter exchanges would provide annual reports of member’s incomes with form 1099B. (169) It is not taxes members are trying to avoid, it is the unnecessary costs associated with conventional banking. Obviously, some businesses will have longer or shorter turnover intervals and will require longer or shorter buffers measured in time. hello Tom, thank for your post! I would like to add a consideration about the current money infrastructure. (c) loss of government control over the central bank. Ultimately, the issue largely comes down to whether individuals have the right to make economic transactions between themselves free of state surveillance or interference. currently do not appear to support such a right. With the global knowledge that renewable resources are being consumed faster than Nature can restore them (over consumption), and reserves of many industrially critical non-renewables are, with current technology, known to have supplies times in only decades or less – we have come to a truely new moment in the human experience. Thus, this moment is the inflection point between an old economic form, the only prior form we've ever experienced, and a new emerging economic form. In the old form resource abundance was assumed and the fundamental strategy for wealth creation was to increase, or amplify, resource consumption. The ouput of that system was the global consumer society. In the new economy resource constraint is clear, thus the new strategy for creating wealth is resource productivity amplification, doing more and more with less and less continually. The output of this system will be a global sustainable society. In this light, I do not believe that we have just confused the distinction 'money.' Instead, we face a time of transition in the nature of money, while the fundamental purpose of money is redirected from facilitating resource consumption amplification to facilitating resource productivity amplification. This new role for money is part of an even more fundamental reorganization in the underlying nature and relative significance of the primary capital forms. In the old economy finance capital became the primary capital form. In the new economy, for reasons I will not attempt to outline here but which you can see partially in past blog postings at http://www.socialwebstrategies.com/blog, the new primary capital forms are knowledge and social capital. In the new economy knowledge is progressively substituted for energy, materiality, labor, money and time, increasing the information content of all economic process and decreasing the energy and materials content. Since knowledge is always and only created and shared in social networks, social capital is a primary enabler of knowledge use, so social capital, i.e. – the ability to generate a functional coordination of human action, is exceptionally important in the new economy. All these factors will figure into what money is and how it functions in the new economy. This moment contains both the old (now transforming) and the new (now emerging) economies. And I believe much of what we see happening in finance traces to this. The new social media technologies are highly socially enabling, thus they amplify the productivity of social capital. Adoption of these technologies is cost driven – they are and have dramatically lowered the cost of creating a coordination of human action (ref Clay Shirky). Adoption of these technologies always has two effects: 1) they flatten the organization, 2) they increase transparency. Both of these effects are progressive and self-accelerating. So in the new economy we also have a progressive acceleration of organization transformation through flattening (hierarchy is negative equity) and through transparency. So in addition to the new money being about facilitating the amplification of resource productivity, we also need to understand that the new money will flow in and facilitate increased transparency, not opacity, and increased access or flattening, not information control hierarchy. Note that I do not hold these observations to be political or moral in nature. What I'm saying here is inherent to the effects of shifting the global technology base onto to a global knowledge economy in a context of inherent and permanent resource constraint. Thanks for this blog and analysis. Jct: There will be no “end of money,” there will be a fixing of money by eliminating the instability, the positive feedback of usury on debt like when using community currencies. When the local currency is pegged to the Time Standard of Money (how many dollars per unskilled hour child labor) Hours earned locally can be intertraded with other timebanks globally! In 1999, I paid for 39/40 nights in Europe with an IOU for a night back in Canada worth 5 Hours. See http://youtube.com/kingofthepaupers on growth of the international time-trading network. @King of the Paupers – i agree that there will be no end of money and that the title of the book can be misleading. i was meaning to include that in the post but it was already too long. thanks for noticing that too! @michelangelo – thanks for the reference to Vladimir Z. Nuri. i'll check it out. All who are really dedicated to the earliest possible attainment of economic and physical success for humanity – and thereby realistically to eliminate war – will have to shift their efforts from the political arena to participate in the design revolution. That's one of the more powerful quotes I've heard in a long time.